Garver spent nearly 30 years perfecting its strategy for assisting airports in managing pavement. While the Aviation Team continues its work at airports across the country, Garver created AssetMax to have a team solely devoted to taking this pavement management expertise to the private industry. 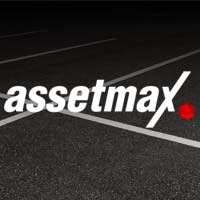 By focusing on saving companies money, AssetMax hopes to transform how the world manages pavement assets by integrating engineering, statistics, and analytics to provide innovative business solutions. The AssetMax Team will be led by Keith Tencleve, PE, and Suzanne Peyton, PE, each of whom developed an expert understanding of pavement management while serving a combined 24 years with Garver’s Aviation Team. For more information on how AssetMax can increase your profits through calculated maintenance, contact Keith at KDTencleve@theAssetMax.com or Suzanne at TSPeyton@theAssetMax.com.